Slices – i.e. the cheese pizza variety. Now, I’m not sure when this whole CBS thing began or how I got hooked. I’ve lived in other cities with great food and never developed the sort of intense cravings I have for CBS (though admittedly, I do have a soft spot for katsu-don from my Tokyo days). And here’s the thing…whenever I do get back to NYC, I really can’t be bothered with anything normal – catching up with friends, or checking out the latest bar or museum exhibition – until I’ve had my CBS. When I first land at LaGuardia, it’s all about getting my CBS on. So, what is it about New York-style CBS that gets my craves all riled up? Well, mostly it’s about all that amazing flavor goodness that you can’t get anywhere else. That’s certainly the crux of it. There’s probably a feeling of comfort associated with New York-style CBS as well, that you’re not truly back in the city until you’ve had some. Where do I go to get my CBS fix? Oddly enough, I’m actually not that choosey. I don’t necessarily need a Murray’s Bagel (or their attitude) even though it is one of the best in the city. 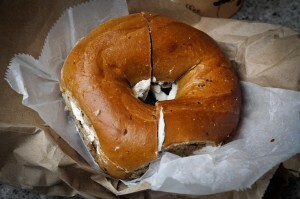 In fact, Bagels on the Square (on Carmine St. in the West Village) is just fine and where I tend to indulge most. Plus, it’s also open 24/7 – great for those late night urges. Same thing with a slice. 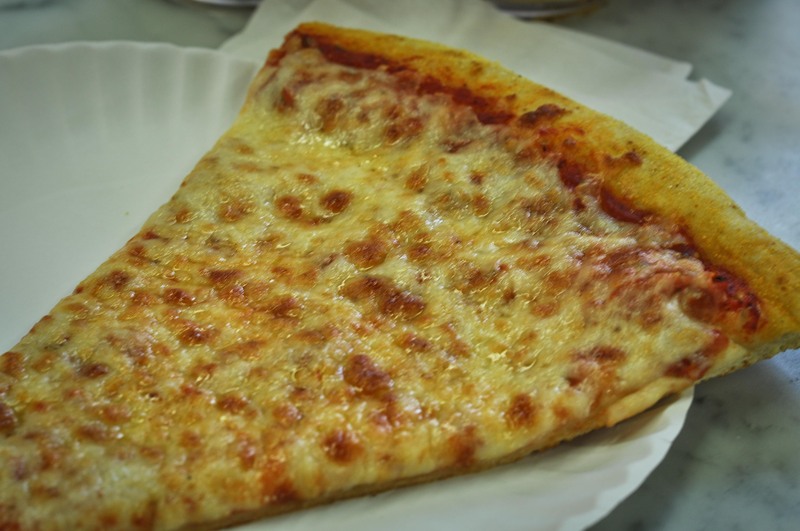 Joe’s is great (though the tourist crowds are a major turn-off), but most slice joints will do, though I find myself getting a Ben’s (on MacDougal St.) or Steve’s (in Lower Manhattan) more often than not. 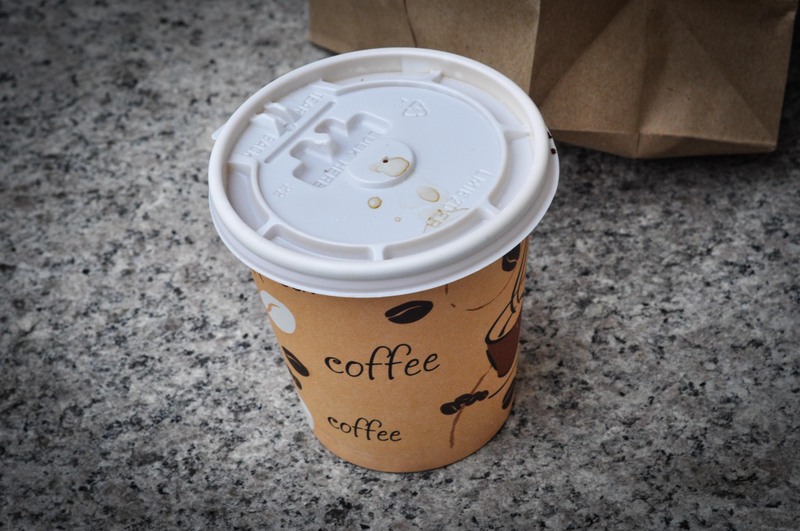 As for coffee, any corner bodega or nearest street kiosk will suffice – their coffee is always fresh (and distinctly not Starbucks-y rich or too weak). Plus, a small-sized coffee is always, always priced at $1.00, which I love. 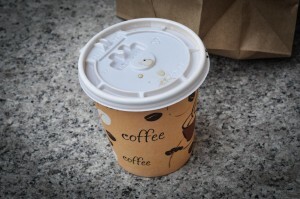 It comes served old-style in a napkin-wrapped paper cup (for the heat) with a lift-up-tab sipper lid so that you can drink/carry it while on the go. What else can I say about CBS? Well, there’s also this whole pesky ordering thing which took me awhile to pick up, but now oddly necessary when it comes to getting my fix. Basically, when ordering CBS, there seems to be this expectation on the part of vendors that it be done concisely and quickly; if it isn’t, you should fully expect mucking-up of your order and/or giving you a bit of attitude - and you should be totally ok with that. I know….rude, right? But it’s NYC so I guess that makes it acceptable. Anyhow, here’s the rule of thumb I follow when ordering CBS: always use lingo that vendors expect and know; always be concise, using the least amount of words (remember, time is money in NYC, even to vendors); and always toss in a bit of attitude (it’s NYC after all). Here are a few examples: In NYC, coffee always comes with milk and sugar so you gotta hit all the categories when ordering – size, milk, sugar. My usual order is “small coffee, milk, no sugar,” so if I happen to say, “small coffee with milk,” they’ll have to ask me if I want sugar, which drives up the word count, prompting the annoyance of additional interaction and this, in turn, raises the unhappy gauge. Likewise, for bagels, the ordering categories are: type of bagel, type of topping, and whether you’d like it toasted (though this last one is apparently a waste of breath at Murray’s, where toasting is a big effing no-no). My usual is “everything bagel, plain cream cheese, no toast.” If for some reason I don’t specify the type of cream cheese – e.g., plain, pimento and olive, or one of the thirty other kinds – they’ll have to ask. Which, again, rachets up the word count and, in turn, the attitude levels. So, there, I’ve admitted it..…my CBS addiction. Is New York CBS really all that? I certainly think so (and many local New Yorkers will probably agree) but judge for yourself the next time you’re there. Just keep in mind, that once you’ve had New York CBS, you might not be able to go back to that other stuff. What’s the little thing that makes New York’s CBS worthwhile? The CBS itself. The calories are high, yes, but the preotin in the bagel is actually worth it. Bagels are high in caloric content either way so you might as well benefit from it and gain some energy! 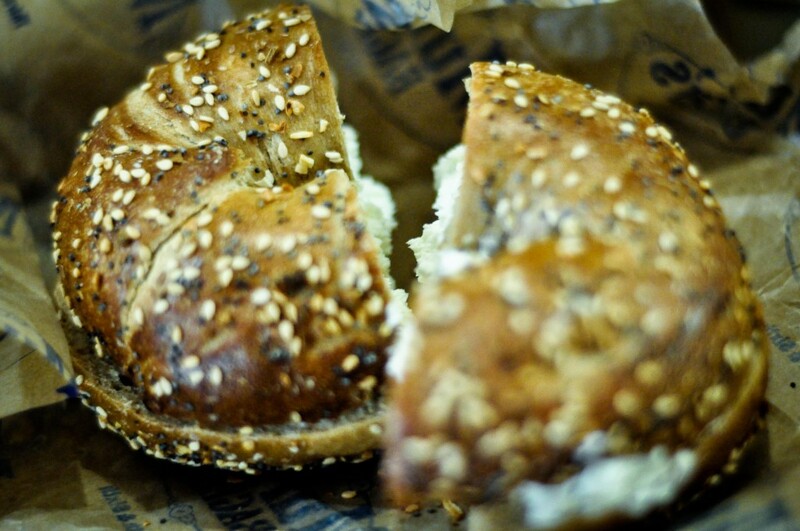 If you have more energy from your bagel, it may be likely that you will be productive in burning it off. Enjoy your power bagels!! I’ve been browsing online more than Three hours today, yet I by no means found any kind of interesting post like your own. It is fairly worth enough for me. Professionally, if most web masters and bloggers made good content as you did, the world wide web will be a many more useful than in the past.